Secures connections to prevent "blow off"
Protect your column and equipment with Phenex HPLC/GC approved syringe filters. 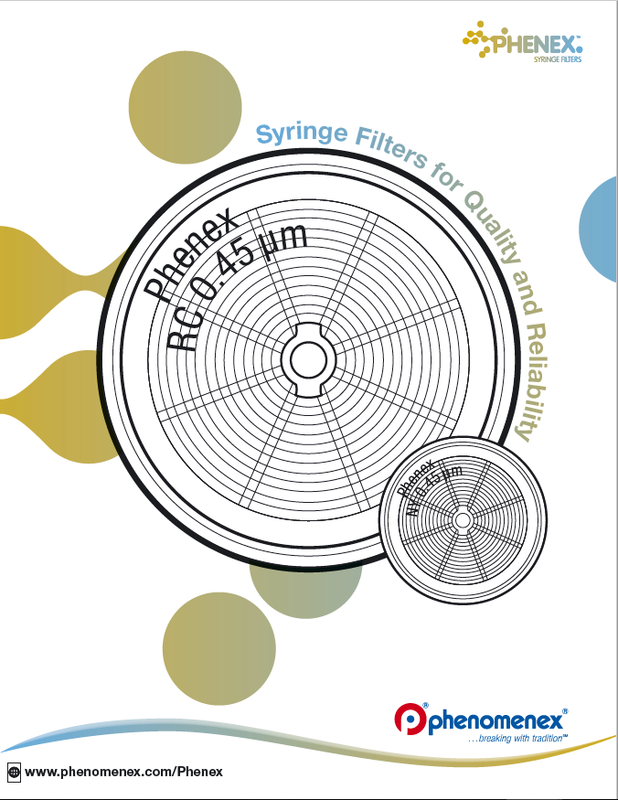 Find the perfect Phenex syringe filter in seconds with this easy-to-use, interactive syringe filter selection tool. 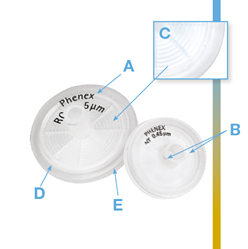 Find out which Phenex syringe filter is best for your analysis..
Nylon has inherent hydrophilic characteristics and works well for filtration of many aqueous and mixed-organic samples. For applications that require low protein or non-specific binding characteristics, Phenomenex recommends Phenex-RC (Regenerated Cellulose) filters.